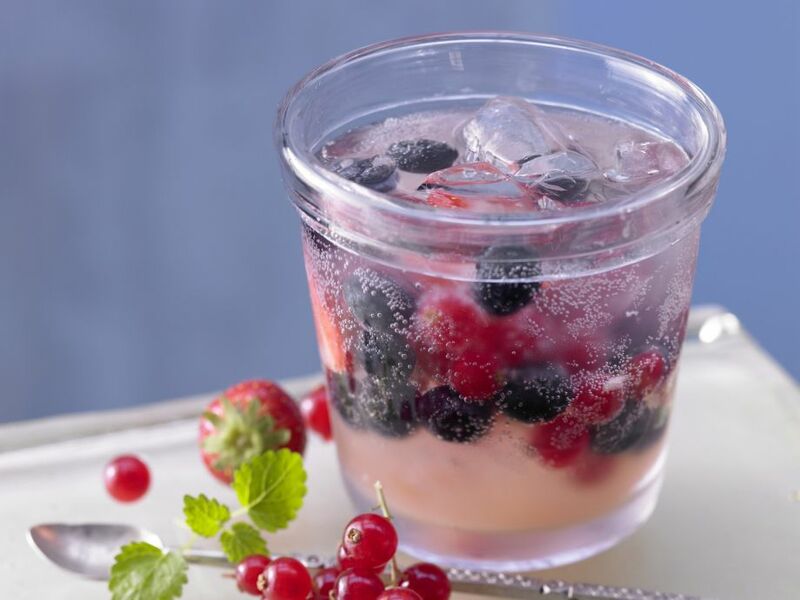 A low-calorie drink that is both pretty to look at and full of flavor! 1 Peel ginger and cut into small pieces. Put in a garlic press and extract juice into a punch bowl or pitcher. 2 Halve and juice lime and add to punch bowl. 3 Rinse strawberries, gently pat dry and halve if large. 4 Rinse blueberries and drain well. 5 Rinse currants, drain in a sieve and remove from stems. 6 Add fruit to punch bowl, mix in sweetener to taste and let stand for about 25 minutes. Pour in mineral water and ice cubes and serve.